Last year I was fortunate to be an artist in residence for a week, something that planners don’t often get to do. This was part of The Arcadia programme in Coventry, curated by Laura Elliott and Michael Mayhew of Artspace. The outputs from the week have been published as a dossier based on the following text…. 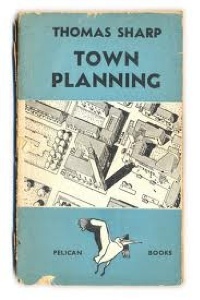 In 1940 the town planner Thomas Sharp was commissioned by Pelican books to produce a book simply called ‘Town Planning’. The aim of the Pelican imprint – which was owned by Penguin – was to ‘inform rather than entertain’ by exploring important issues of the day. ‘Town Planning’ sold more than 250,000 copies during the war, tapping into the concerns, of a significant number of people who shared its belief that; ‘town planning is an attempt to formulate the principles that should guide us in creating a civilised background for human life’. In the year his book was published Sharp visited the Coventry of Tomorrow exhibition. 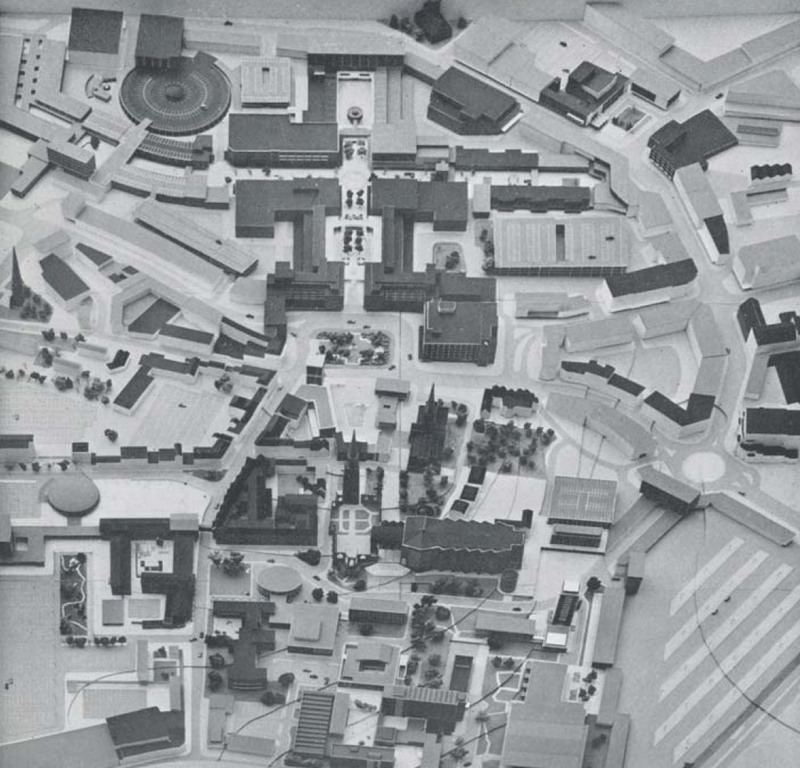 This had been arranged by Coventry’s new City Architect and Town Planner Donald Gibson and showed models of what might be if the city’s medieval city centre were to be replaced with something a bit more modern. The people were fascinated and in just a week the exhibition attracted 5,000 visitors. Its hard to imagine any book or exhibition on town planning today exciting such public interest, indeed its difficult to reconcile the idea of town planning and ‘a civilised background to human life’ being linked in the same sentence. Yet the Coventry that was eventually built in the ten years after the war is one of the most complete built examples of this belief in the power of planning. It is one of a handful of cities where circumstances conspired to allow the future to be built in glass and Portland Stone (concrete would come later). The Arcadia programme in Coventry, curated by Laura Elliott and Michael Mayhew from June 2014 to 2016 is an exploration of these issues. Based in a vacant shop unit in the City Arcade, the project involves a series of commissions to allow artists to explore Coventry, its history and its people’s relationship with the city centre. 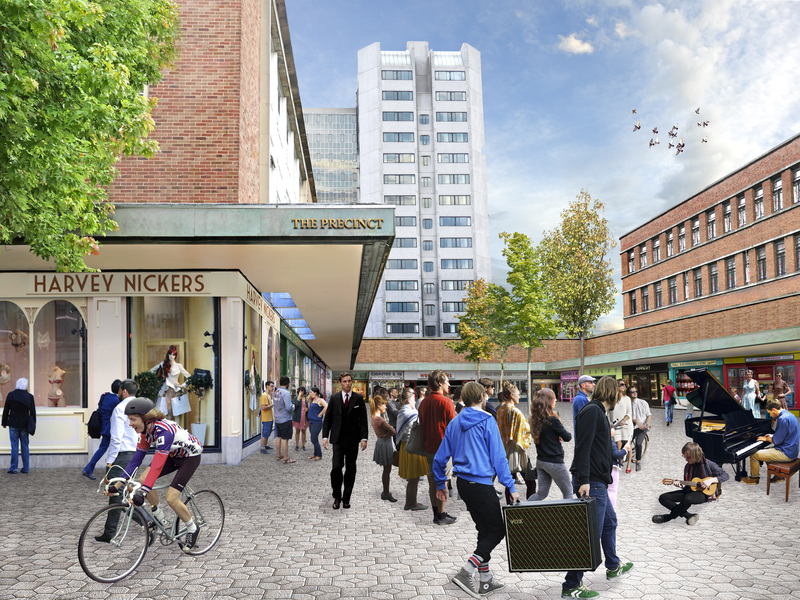 This comes at a time when proposals are being developed for the redevelopment of the City Arcade and its surroundings. The plans by the City Council also aim to create a more ‘modern’ retail environment, raising questions about the extent to which we should value the Coventry that will be lost if this development proceeds. Looking and Seeing was the second of the Arcadia residencies and sought to answer this question by exploring the scale of the physical change that was wrought in Coventry after the war. Working with students from the city’s new architectural school, the Looking and Seeing project built a 4m square model of pre-war Coventry using terracotta-coloured plasticine. Based on the 1912 plan, the model that emerged was of a fine-grained medieval city dominated by three spires, like many of the historic cities that we venerate today. 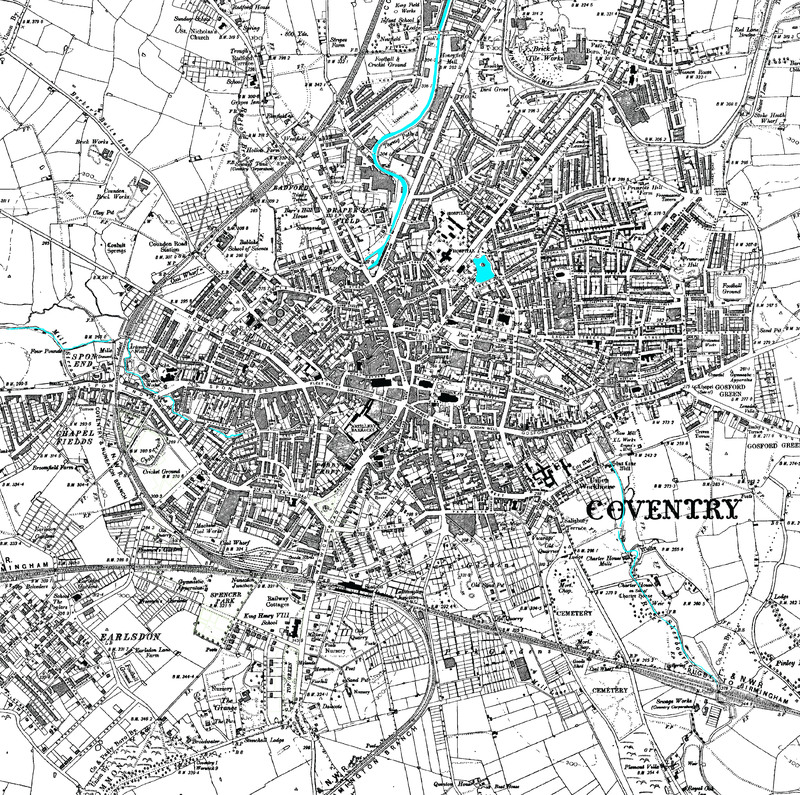 A fine medieval city was not how the people of Coventry saw it at the time. In the interwar years Coventry had expanded massively as it became a centre for car and motorcycle manufacture. Its city centre was seen as increasingly inadequate for this expanding affluent population. It was dirty and congested and in 1938 the Labour Council appointed the man that they thought could do something about this. Donald Gibson started by distributing copies of Lewis Mumford’s book ‘The Culture of Cities’ to councillors to get everyone on the same page and then set about replanning the city centre and building the model that would be displayed in the 1940 exhibition. The first bombing of Coventry took place less than a month after the exhibition closed. However the most devastating raid took place on 14th November that same year when 500 aircraft were sent to destroy Coventry’s factories that had been turned over to munitions production. These factories and workshops were embedded within the medieval city, the Triumph Cycle Works stood on the site next to the Cathedral. The mix of high explosives and incendiary bombs therefore destroyed not just the factories but much of the centre, including the cathedral. “I would like to add a few words on the significance of the recent bombing of Coventry. Many citizens had despaired of the possibility of having a dignified and fitting city centre. High land values, the delays involved by town planning legislation, together with a lack of plan for the central area made it seem impossible. Now, in a night, all this is changed. Over a year and a half ago I prepared a civic centre scheme which, grouped round the two noble medieval churches, embodied all the public buildings in one ordered conception, at the same time suggesting a central park space which is so badly needed. In one night the site is largely cleared ready for this regeneration. It rests but with the fortunes of war and the desires of a great people, to see it accomplished”. So back in the City Arcade with the architecture students, we removed the buildings that had been destroyed in the blitz from our plasticine model. Traumatic as this was, there were a surprising number of buildings remaining. These were to be removed by the planners in the reconstruction that followed. So we started to disassemble the model ripping away the 1912 plan on which the plasticine had been placed. Beneath was the modern-day plan of Coventry and using this, we started to build the Coventry of today in dark grey plasticine. This new Coventry emerged like an alien from the chest of the pre-war city. As it expanded the medieval city was tossed aside to accumulate in drifts of terracotta plasticine around the edges of the room. A number of students worried that we had got the scale wrong as the new grey plasticine buildings towered over their medieval predecessors. We continued to expand the new Coventry starting in Broadgate and working our way along the Precinct and Market Street. The sequence of our construction was not historically accurate, that would have been too complicated. While one team of students worked on the Arcade and market another group built the civic quarter while others built the university (which of course came much later). Then the ring road was inserted in sections and the development swept onwards to encompass the residential redevelopment of the inner suburbs. The results were photographed and turned into a stop-motion film showing the transformation of the city. 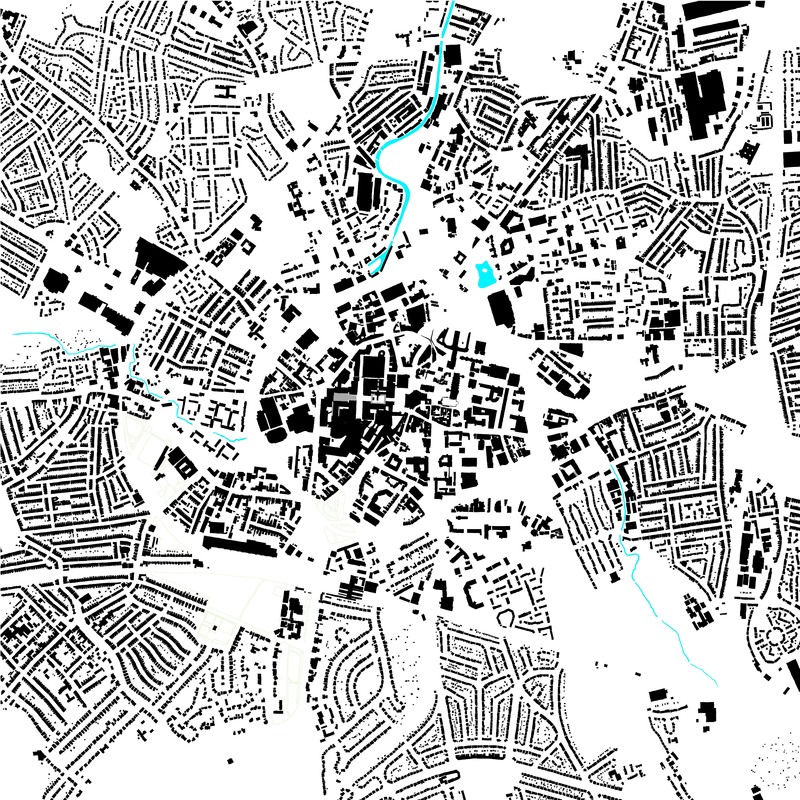 The Figure Ground Plan of Coventry today. This is like an X Ray of the city, showing its structure and particularly the sharp contrast between the density of its centre and the lower density suburbs on the other side of the moat created by its ring road. The students and members of the public – including the local BBC Radio station – who witnessed this transformation were horrified. How could we have done this to such a beautiful city? This of course was unfair, the terracotta plasticine gave an inaccurate impression of the pre-war city which was in reality pretty shabby and dysfunctional. The dark grey planticine similarly demonised the new Coventry and was particularly inappropriate since in reality many of the buildings were gleaming white Portland stone. In the 1940s the people of Coventry who visited the exhibition certainly wouldn’t have been horrified. They were fully bought-in and signed-up to the notion that they should sweep away the past and, together with the Welfare State and the National Health Service, should build a better, fairer more socialist Britain. 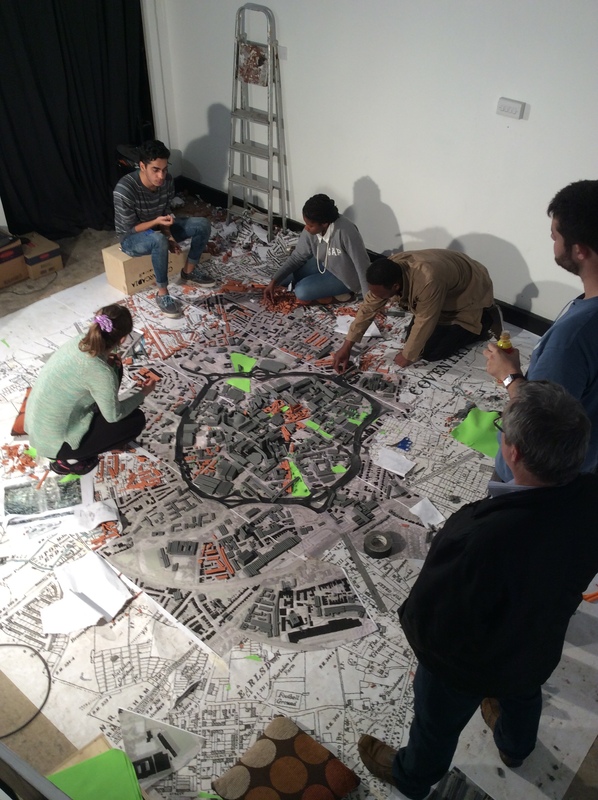 Students from Coventry’s Architecture school nearing the completion of the plasticine model of the new city emerging from the remains of original medieval city. 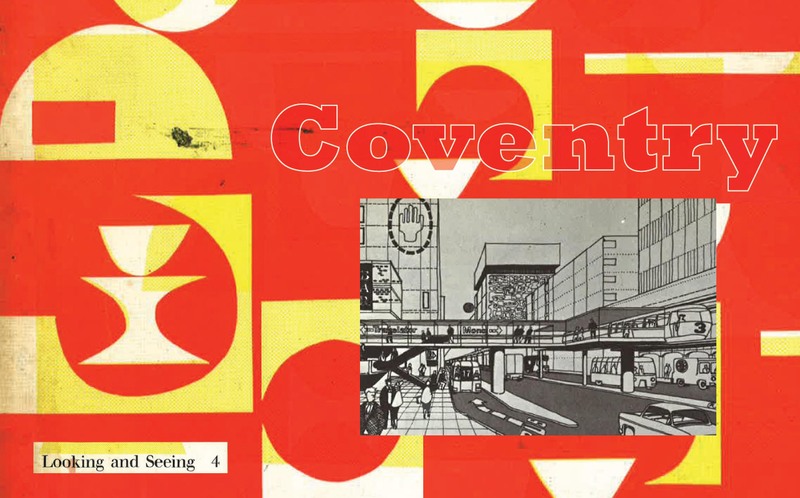 Coventry was the embodiment of that future and its anointment as one of the leading modernist cities came in 1951 with the 8th Congrès International d’Architecture Moderne. Founded in 1928 by the architect Le Corbusier, CIAM as it was known, had been responsible for laying the intellectual foundations of modern architecture and town planning. The 8th Congress was held, for some reason, in the sleepy village of Hoddleston in Hertfordshire, but the star of the show was Coventry. The theme for the congress was ‘The Heart of the City’ and the focus for the discussions was town and city centres. This was at a time when many city centres still lay in ruins following wartime bombing. In Germany the response had been to painstakingly reconstruct the city as it had been. In England it was an opportunity to put into practice all the theories and ideals that had dominated the architectural debate in the interwar years. It is no wonder that CIAM came to England. The star turn was Donald Gibson who told delegates that his plans represented ‘the first time that a central area (had been) analysed in terms of its main uses and a plan drawn up which retained only those necessary to its correct functioning’. 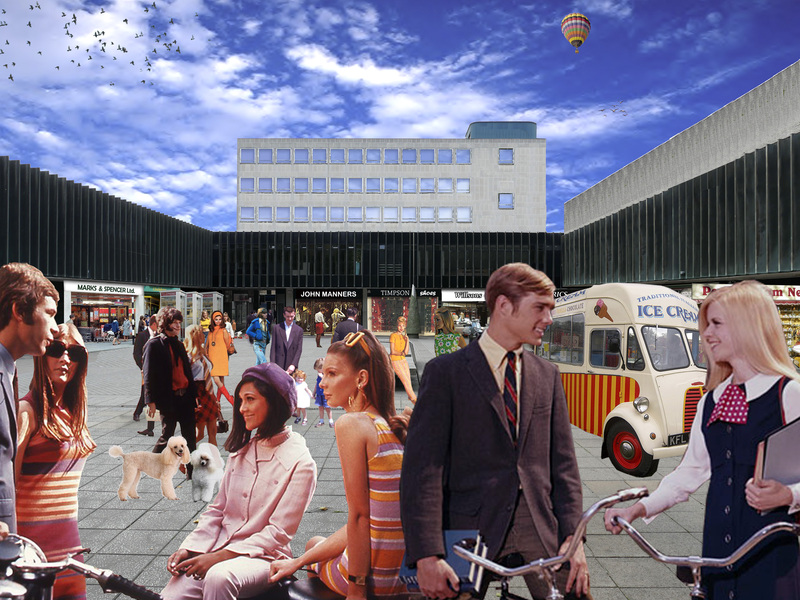 Coventry was the future, a functional efficient town centre in which the traffic flowed, the air was clean and which civilisation could flourish. Not that it quite worked out that way. The title of the residency ‘Looking and Seeing’ was inspired by a series of school text books by Kurt Rowland published in the 1960s. The four books in the series are about patterns and shape; in nature, in art and, in the final book, in the ‘Shape of Towns’. There is something about the optimism of this fourth book on towns, written at a point when many of the early modernist projects had been completed, but before they had fallen out of public favour. It features Coventry only fleetingly, concentrating mainly on the new towns, but the book’s message is particularly useful in trying to understand the planners who build Coventry. The structure of Kurt Rowland’s book spans the history of towns from the earliest civilisations through the Renaissance to the present day. The modernist city that it describes in its latter sections with its towers and underpasses, monorails and flyovers is set in stark contrast to the dirty, congested run-down industrial cities that it was to replace. However the modern city is not seen as a new invention, but rather a continuation of centuries-old traditions of city planning that had been interrupted by the Industrial Revolution. This is why these cities of the future still included piazzas and plazas, arcades, and squares. Their inspiration was Gordon Cullen who’s book ‘Townscape’ is still revered by urban designers today. We forget however that the ‘Townscape movement’ of the 1960s and 70s, championed by the architecture critic Ian Nairn in the pages of the Architectural Review, inspired many of the modernist planning schemes that seem to be the antithesis of what we now consider to be urban design. It is a salutatory lesson in how the best of intentions do not always create the best of places. The people of Coventry today are certainly not particularly enamoured with the modernist city that they have inherited. The members of the Coventry Society that we met on the second evening of the residency may enthuse about the boldness of Coventry’s buildings and planning, but the public are less keen. It is true that the city centre has not aged particularly well. However even without the staining, the peeling paint and pigeon droppings, the modernist notions of planning on which Coventry was built have not worked as their designers intended. Too many roads, too many unwelcoming underpasses, too many windswept plazas and split level public spaces that don’t quite work. The public today almost certainly supports the council’s plans for a new retail scheme with a covered mall and a larger range of shops. This of course speaks volumes about the change in society’s values over the last 60 years. But are the public today any more likely to be correct today than they were back then? 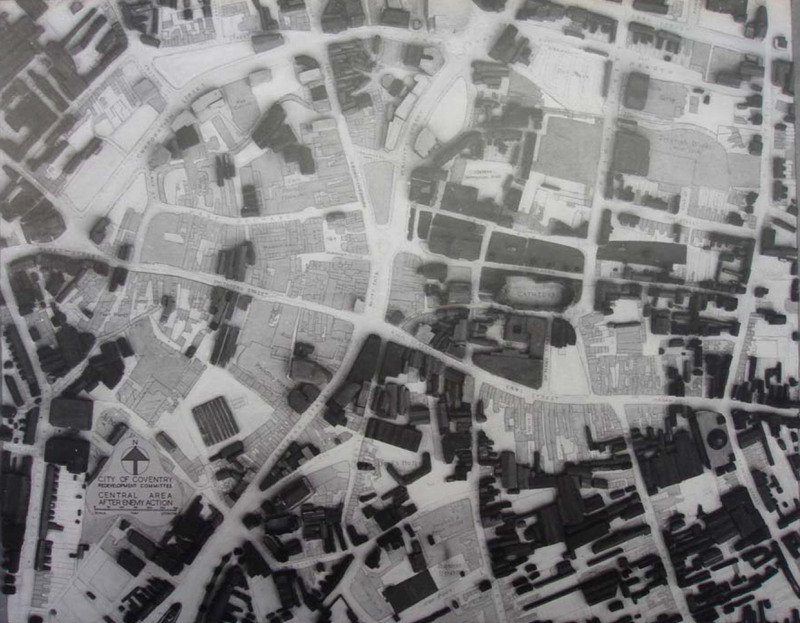 One of the exercises that we set for the students as part of Looking and Seeing was to try and navigate the city centre today using 1912 plan. Walking the city centre on a bright morning in early autumn, some started to re-evaluate the city centre. Building the plasticine model helped them to understand the intent of its designers: The interconnected series of spaces. The serial progression though tightly enclosed routes that open to reveal squares and vistas. The three towers terminating the views each way along Market Street and the Upper Precinct with the view through the Lower Precinct focussing on the spire of the cathedral. The reliefs cut deeply into in situ concrete panels or cast in bronze. In the right light you could see what it was supposed to be like, to understand how beautiful it could have been, maybe still is. As we built the plasticine Coventry we started to ask whether its planners were misguided or whether their ideas were sound but poorly executed? Maybe they were onto something and we haven’t quite recognised the value of what they created, yet. Maybe in years to come when Coventry city centre has become a sanitised retail clone town, we will regret having destroyed the bold city centre created after the war. It is hard to credit now, but as late as the 1970s the general feeling in architectural and planning circles was that Victorian architecture was of little worth. It was seen as crass, pastiche lacking in authenticity and generally not worth preserving. The point being that today we feel the same way about modernist architecture and particularly modernist town planning. Just as today we struggle to understand how previous generations failed to appreciate Victorian buildings, so future generations might feel the same about our attitude to modernism. The conclusion was that Coventry is not perhaps a model for how city centres should be planned. We wouldn’t suggest that the redevelopment of other city centres should emulate its design. However that does not mean that it is without qualities, or indeed quality. It is possibly the best, most completely realised example of modernist city centre design and remains largely intact. Rather than sweep it away, it deserves a scheme that cleans it up and takes it back to something near to Donald Gibson’s original vision. If this were to happen it wouldn’t be perfect but it would be a unique reminder of a more optimistic time that the people of Coventry may even come to love one day.